Certified. Charcoal 2016 Dodge Grand Caravan SXT FWD 6-Speed Automatic 3.6L V6 24V VVT COME SEE WHY WE ARE TOP RATED BY OUR CUSTOMERS! 2015+2014 Colorado Dealer of the Year!!!!! (Dealerrater.com) 2015 5 Star Dealer Award (Edmunds.com) 2015 & 2014 Top Certified Pre-Owned dealer (Jeep.Dodge,Chrysler,Ram) Locally owned and operated for over 70 Years! CERTIFIED PRE-OWNED VEHICLE!. CARFAX One-Owner. Clean CARFAX. Certified. Black 2018 Dodge Grand Caravan SXT FWD 6-Speed Automatic 3.6L V6 24V VVT Priced below KBB Fair Purchase Price! Awards: * JD Power Initial Quality Study (IQS) COME SEE WHY WE ARE TOP RATED BY OUR CUSTOMERS! 2015+2014 Colorado Dealer of the Year!!!!! (Dealerrater.com) 2015 5 Star Dealer Award (Edmunds.com) 2015 & 2014 Top Certified Pre-Owned dealer (Jeep.Dodge,Chrysler,Ram) Locally owned and operated for over 70 Years! Leather and Quad Seats!!! * JD Power Initial Quality Study (IQS) COME SEE WHY WE ARE TOP RATED BY OUR CUSTOMERS! 2015+2014 Colorado Dealer of the Year!!!!! (Dealerrater.com) 2015 5 Star Dealer Award (Edmunds.com) 2015 & 2014 Top Certified Pre-Owned dealer (Jeep.Dodge,Chrysler,Ram) Locally owned and operated for over 70 Years! Leather and Quad Seats!!! Certified Pre-Owned Clean CARFAX. Silver 2018 Dodge Grand Caravan SXT FWD 6-Speed Automatic 3.6L V6 24V VVT Awards: * JD Power Initial Quality Study (IQS) COME SEE WHY WE ARE TOP RATED BY OUR CUSTOMERS! 2015+2014 Colorado Dealer of the Year!!!!! (Dealerrater.com) 2015 5 Star Dealer Award (Edmunds.com) 2015 & 2014 Top Certified Pre-Owned dealer (Jeep.Dodge,Chrysler,Ram) Locally owned and operated for over 70 Years! 1-Owner Trade-In with Heated and Cooled Leather, Heated Steering Wheel, Navigation and Panoramic Sun Roof!!! Awards: * 2016 KBB.com Brand Image Awards COME SEE WHY WE ARE TOP RATED BY OUR CUSTOMERS! 2015+2014 Colorado Dealer of the Year!!!!! (Dealerrater.com) 2015 5 Star Dealer Award (Edmunds.com) 2015 & 2014 Top Certified Pre-Owned dealer (Jeep.Dodge,Chrysler,Ram) Locally owned and operated for over 70 Years! CERTIFIED PRE-OWNED VEHICLE!, 8.4" Touchscreen Display, Blind Spot & Cross Path Detection, For Details, Visit DriveUconnect.com, GPS Antenna Input, Integrated Voice Command w/Bluetooth, Nav-Capable! See Dealer for Details, ParkSense Rear Park Assist w/Stop, Radio: Uconnect 3C w/8.4" Display, SafetyTec, SiriusXM Satellite Radio, Uconnect Access. CARFAX One-Owner. Certified. White 2017 Chrysler Pacifica Touring L FWD 9-Speed Automatic 3.6L V6 24V VVT Priced below KBB Fair Purchase Price! Awards: * 2017 KBB.com 12 Best Family Cars * 2017 KBB.com Best Buy Awards * NACTOY 2017 North American Utility of the Year * 2017 KBB.com 10 Favorite New-for-2017 Cars Don't just buy used!! You can get top rated factory certified that includes: a 6 year 80,000 mile factory warranty, all the books, 2 keys and remotes if equipped, roadside assistance and towing benefits, loaner car rental, ASE certified 125 point service and safety inspection and a Carfax vehicle history report! Factory certified is the smart way to buy your next vehicle! Choose from over 400 cars and trucks in stock in our 3 story covered parking garage. We are a Colorado new car dealer for 60 years and counting. Call us and save today! The price listed is the cash price. No dealers please! CARFAX One-Owner. Clean CARFAX. Certified. Gray 2018 Jeep Renegade Sport 4WD 9-Speed 948TE Automatic 2.4L I4 21/29 City/Highway MPG COME SEE WHY WE ARE TOP RATED BY OUR CUSTOMERS! 2015+2014 Colorado Dealer of the Year!!!!! (Dealerrater.com) 2015 5 Star Dealer Award (Edmunds.com) 2015 & 2014 Top Certified Pre-Owned dealer (Jeep.Dodge,Chrysler,Ram) Locally owned and operated for over 70 Years! CERTIFIED PRE-OWNED VEHICLE!. CARFAX One-Owner. Clean CARFAX. Odometer is 7036 miles below market average! Certified. White 2018 Dodge Journey Crossroad AWD 6-Speed Automatic 3.6L V6 24V VVT Priced below KBB Fair Purchase Price! COME SEE WHY WE ARE TOP RATED BY OUR CUSTOMERS! 2015+2014 Colorado Dealer of the Year!!!!! (Dealerrater.com) 2015 5 Star Dealer Award (Edmunds.com) 2015 & 2014 Top Certified Pre-Owned dealer (Jeep.Dodge,Chrysler,Ram) Locally owned and operated for over 70 Years! CARFAX One-Owner. Clean CARFAX. Certified. Steel 2018 Chrysler 300 Limited AWD 8-Speed Automatic 3.6L 6-Cylinder SMPI DOHC Priced below KBB Fair Purchase Price! 18/27 City/Highway MPG COME SEE WHY WE ARE TOP RATED BY OUR CUSTOMERS! 2015+2014 Colorado Dealer of the Year!!!!! (Dealerrater.com) 2015 5 Star Dealer Award (Edmunds.com) 2015 & 2014 Top Certified Pre-Owned dealer (Jeep.Dodge,Chrysler,Ram) Locally owned and operated for over 70 Years! 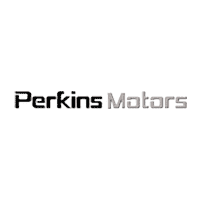 If you’re searching for used car dealerships near Pueblo, then take advantage of the extensive inventory available at Perkins Motors. We want you to drive home in a used car you feel good about and with the amount of miles you’re looking for, which is why we thoroughly inspect each and every vehicle for quality. And because we want you to get a great used car deal, we offer plenty of used vehicle exclusive offers as well as vehicles under $10k to further sweeten the deal. Our team will walk you through every step of the used car-buying process – we’ll even be there for you after you leave the lot! Rely on our service department to maintain your used car, feel free to contact us in the meantime with any questions about our inventory, and learn more about used car ownership, like what’s good gas mileage for pre-owned vehicles.